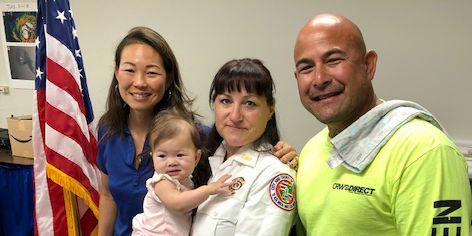 Dozens of city, state, federal and non-governmental agencies will converge at Pearlridge Center for Ready2React, which draws the largest collection of emergency vehicles and equipment of any Oahu event. Ready2React, now in its third year, will bring preparedness experts together with the public to help prepare residents for emergencies or disasters that may affect Oahu. Meet the experts in emergency response and emergency preparedness so your family will be better prepared for the next disaster. First-responders and preparedness experts will include the Honolulu Department of Emergency Management, American Red Cross, Honolulu Police Department, Honolulu Fire Department, Honolulu Emergency Services Department (Ocean Safety and Emergency Medical Services), Hawaii National Guard 93rd Civil Support Team, FEMA and the U.S. Coast Guard Auxiliary. Bring the entire family and learn how to protect your family and community by being Ready2React when the next disaster strikes Hawaii. Ready2React is happening this Saturday, July 25 from 10 a.m. to 2 p.m. at Pearlridge Center's Uptown and Downtown Center Courts, as well as the Toys 'R' Us parking lot.